Stephanie and I liked the Fall Foods 5 post so much, I thought I’d offer some more, with a focus on squash. It’s not just for Thanksgiving anymore! 1. Butternut squash soup is so passé. Try Acorn Squash Soup with Cumin and Curry Leaf. 2. Slice up that butternut squash instead and make a pastry. 3. It’s a recipe for Sausage and Rapini Stew, but the squash pulls it all together. 4. Save the seeds and roast them. Or keep them for planting. 5. 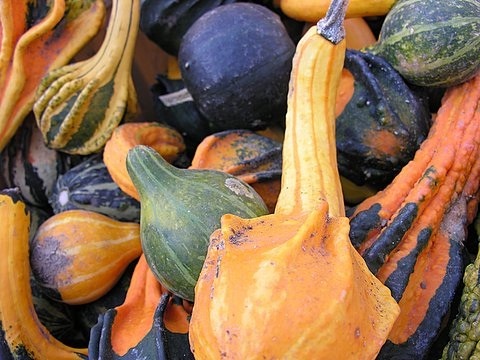 Pumpkin is a squash, and now it’s a flavour for a beer. Photo by Flickr user x-eyedblonde, used under a Creative Commons licence.